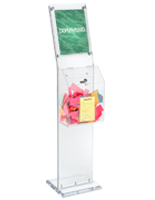 Do you have difficulty collecting votes or opinions and comments in a public setting? 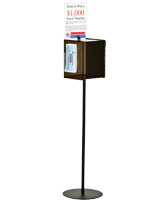 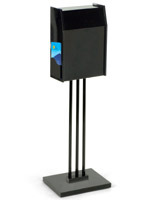 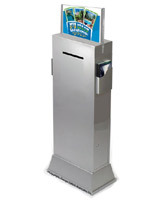 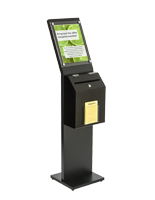 These floor standing ballot boxes are ideal for placing in high traffic areas to collect customer suggestions and complaints. 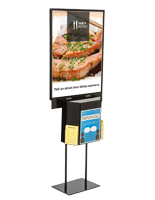 Use these displays as a key drop box at hotels as well. 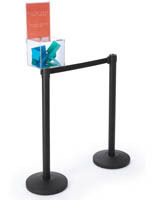 Why have guests waste time at the checkout counter when they can simply drop a key into a box on their way out? 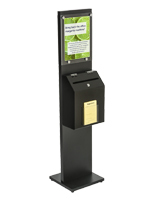 Options are available to meet various business needs. 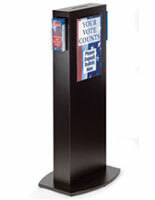 Metal floor standing ballot boxes are sturdy and built to last, while corrugated cardboard displays are affordable and very easy to set up. 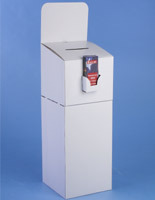 Use these voting bins to run local elections. 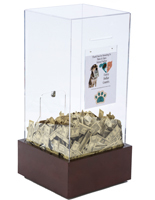 Have a school vote coming up? No need to splurge on expensive voting booths. 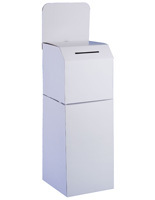 Try a simple floorstanding ballot box. 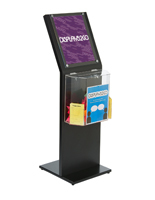 Suggestion forms are available to complement these displays. 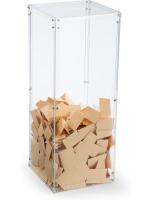 When running an election, it is important that voting goes as smoothly and seamlessly as possible to keep it fair. 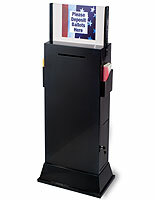 Using a floor standing ballot box makes it easy to collect votes and prevent people from tampering with the final results. 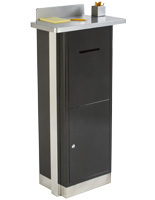 Many of these drop boxes have a keyed lock so only administrators have access to what is inside the box. 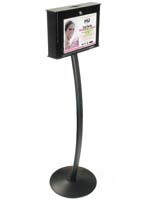 Many of these floor standing displays also feature storage space for pamphlets and brochures to keep voters informed. 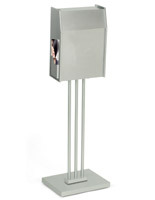 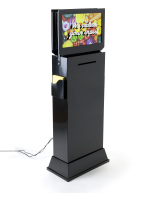 Metal floor standing donation boxes are sturdy and durable. 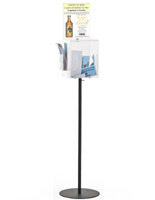 Where are these key drop boxes commonly used? 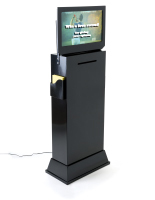 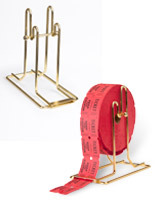 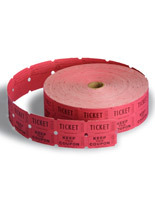 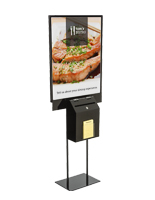 Hotels and inns often use these displays as a way for customers to self-checkout. 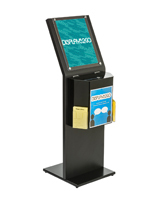 Placing these key drop boxes in a lobby or near the exit lets customers simply drop there keys and go. 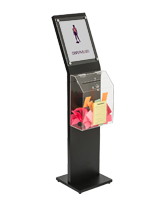 This alleviates some responsibilities from the front desk, which is helpful when customers are checking in and out at the same time. 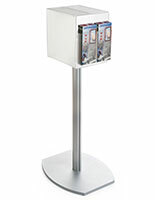 The metal modelsa are offered in silver and black and will nicely mesh with the décor of any lobby area. 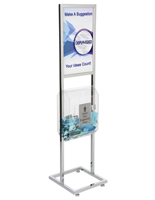 Use the available signage space to place a notice like “Place Keys Here” or “We Hope You Enjoyed Your Stay.” The acrylic inserts allow users to easily slide signage in and out of the floor standing donation boxes. 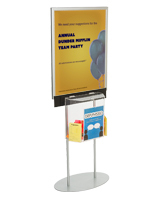 Looking for something for trade shows? 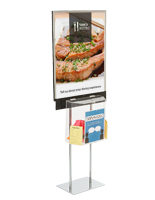 These corrugated displays are the ideal choice. 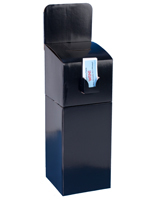 More affordable than the metal stands, these cardboard suggestion boxes fold flat, making them ideal for traveling. 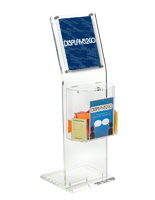 These stands are available with and without brochure holders. 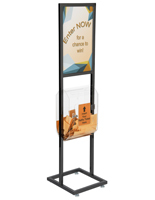 Place promotional materials in front of these boxes, or place suggestion cards in the pocket for customers and clients to use. 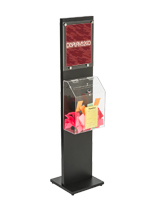 Allowing booth visitors to leave comments, suggestions and complaints is a great way to gain valuable insight from outside sources. 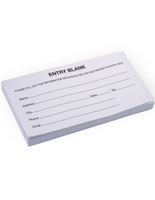 With such a large volume of guests coming through trade shows it is important to collect information as efficiently as possible. 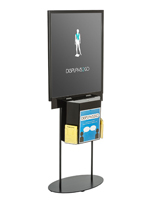 A comment box allows interested persons to write their information on a contact card and leave it for later use. 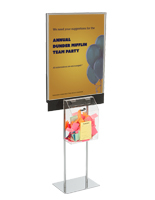 Another great idea is to collect emails to have people added to a company newsletter distribution list.